From simple directional signs to complex, three-dimensional signs, Shag's Sign Shop will create the perfect sign for your event. Design. If you do not have a design already, our talented graphic designers will come up with a design for you. You will receive a proof of the design before we print so you know exactly what your item will look like. Print. We then print your graphics using the absolute best equipment and materials available. Install. Our detailed-driven graphic installers will apply your graphics in our facility or on site at your venue depending on circumstances. Looking to maximize your brand? 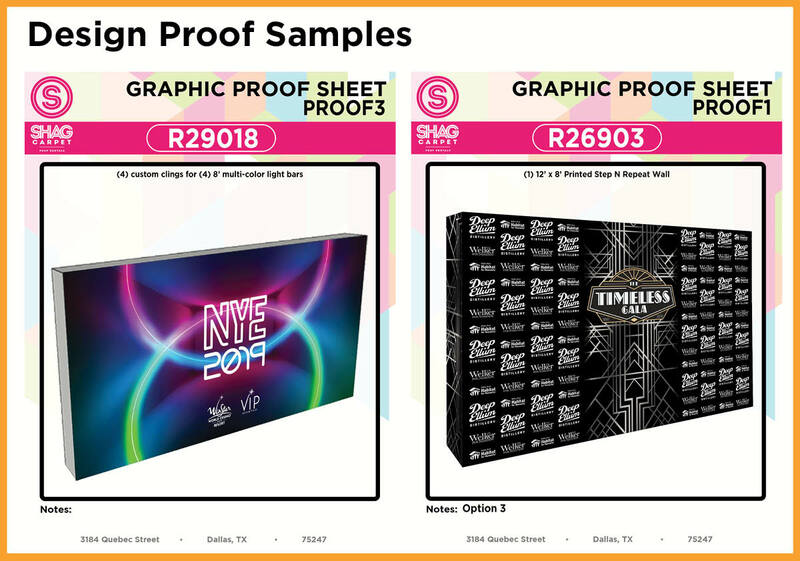 Shag is able to apply your brand to off-the-shelf items such as bars, tables and columns. Click here to see brandable items. From graphic creation to application and delivery, Shag's Sign Shop has you covered. Branding: Add your brand or custom graphics to many of our items. Step and Repeat: The Step and Repeat Walls are a great backdrop for your event. 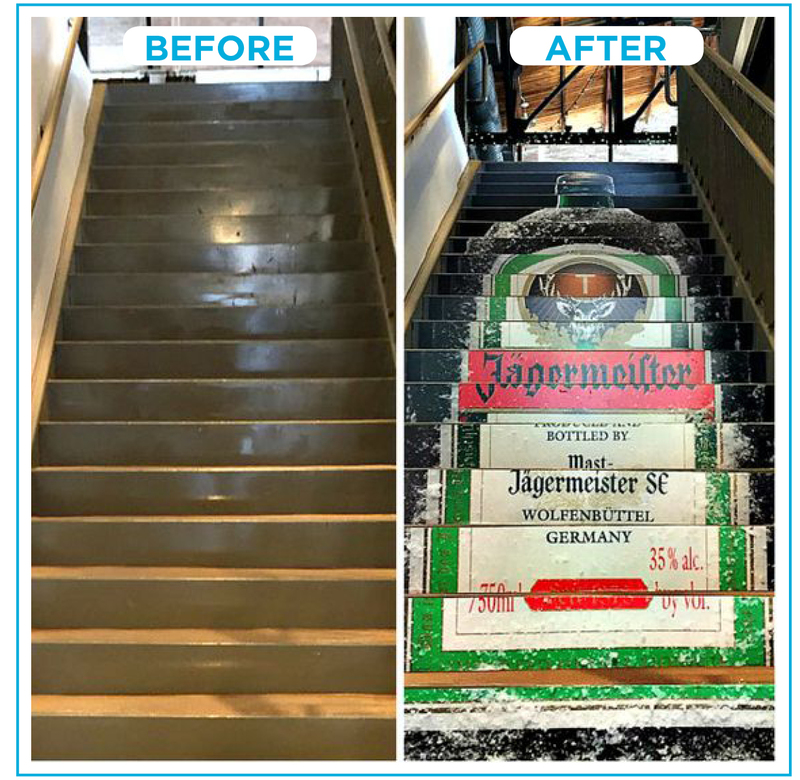 Floor Graphics: Use Floor Graphics to promote a product, highlight event details or direct event attendees. Custom Printed Dance Floor: Dance the night away on a Custom Printed Dance Floor. Visit our Sign Shop Pinterest board to see examples of our work. "The Step and Repeat looked amazing and the stage backdrop worked really well! It all went really well and it was a pleasure to work with you." - Miranda H.
"Your crew was extremely helpful and professional and the quality of your product was great. We got a lot of compliments from the client on the illuminated signs." - Lauren B.